For students who want to relieve test anxiety by “sitting” an actual SSAT* under a “real” testing environment, PREPSKILLS Inc. is proud to offer this exclusive opportunity with individualized feedback and a computer generated scoring report. Are you curious about your SSAT test performance? Take our PREPSKILLS – SSAT simulated test! 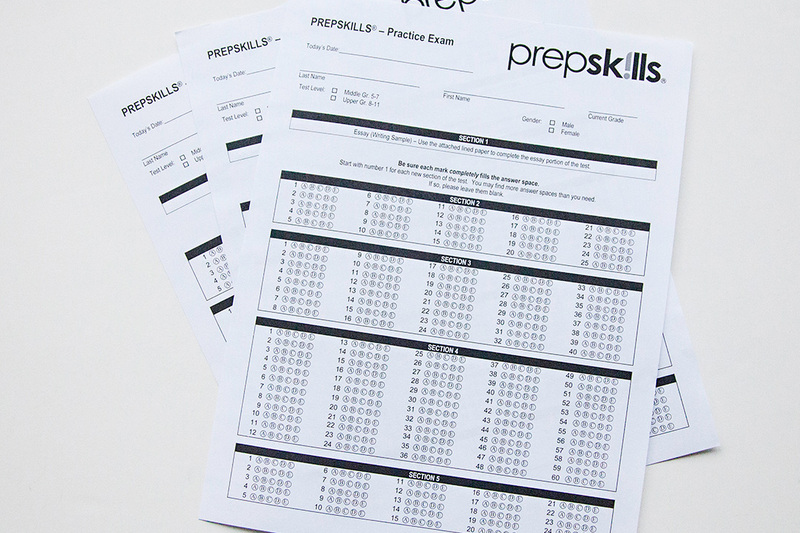 PREPSKILLS® Simulated Test (under real test writing conditions) students have the opportunity to relieve anxiety and increase confidence by writing a SSAT* simulated test (Upper or Middle level test). The test parallels the Verbal, Reading Comprehension, Quantitative and Essay sections of the SSAT*. Parents are provided with a report outlining student scores for each section. The essay component is also reviewed and feedback is provided.